This University of Maryland Biotechnology Institute website provides background information about plankton, especially as they relate to the Chesapeake Bay. It includes a discussion of key nutrients (nitrogen and phosphorous) used by plankton for growth purposes. 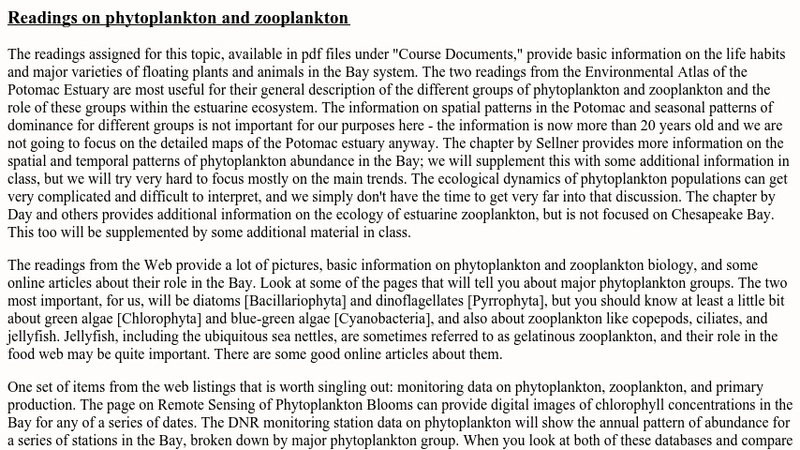 It also features an explanation of how plankton is sampled.